Thank you for the positive response on last week's post about quality over quantity. A quick note regarding quality- I am having some trouble when it comes to my photos so stay with me while I get it all sorted out. If you or anyone you know is a photography wiz, please email me. To say the least, I am pretty much done with Winter. 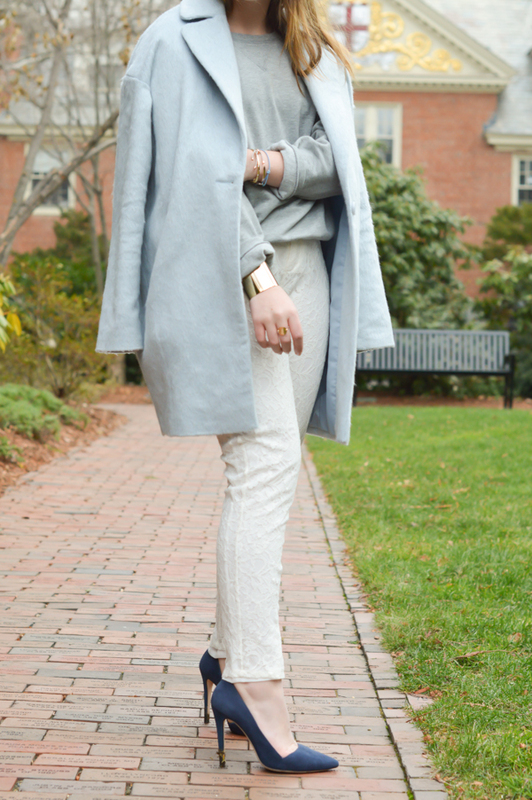 Over the weekend I wore a pair of white lace pants that I picked up last spring from Joie. To stay warm, I layered up with a grey sweatshirt (I have worn it everyday for the past week) and a oversized scarf. Shed the extra layers and add heels when it's time to dress up a bit. Saying I'm obsessed with your sense of style is an understatement, you're outfits are always so perfect! I'm loving this look! Very chic but still comfortable (with the Converse!). I'm with you on being over winter - I need spring and summer! 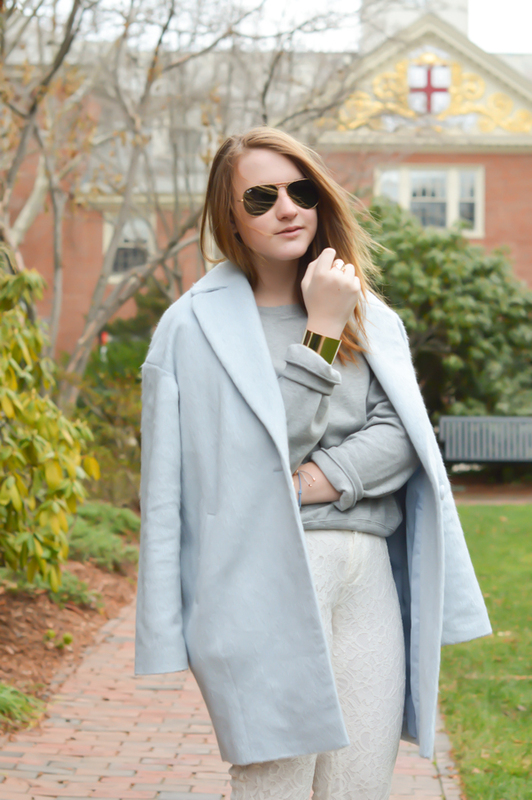 I love how you've styled this coat! 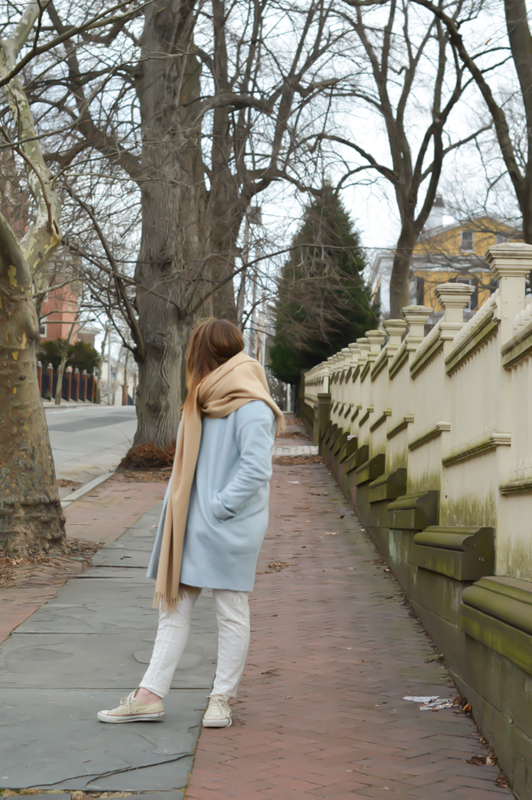 I purchased a pastel blue at the beginning of this season but I'm still a bit reluctant to wear it because I'm unsure of how to style it - thanks for giving me some inspiration with this post!